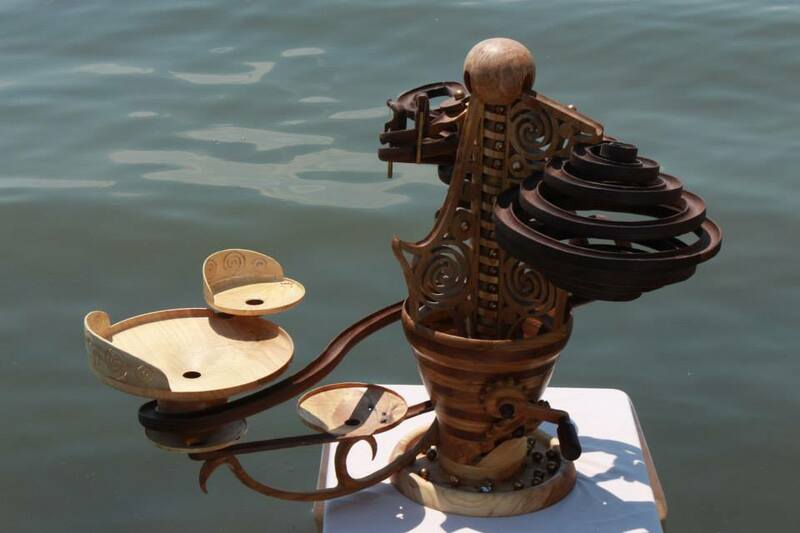 Karl Hale is an innovative sculptor working on kinetic marble runs made of wood and other projects. 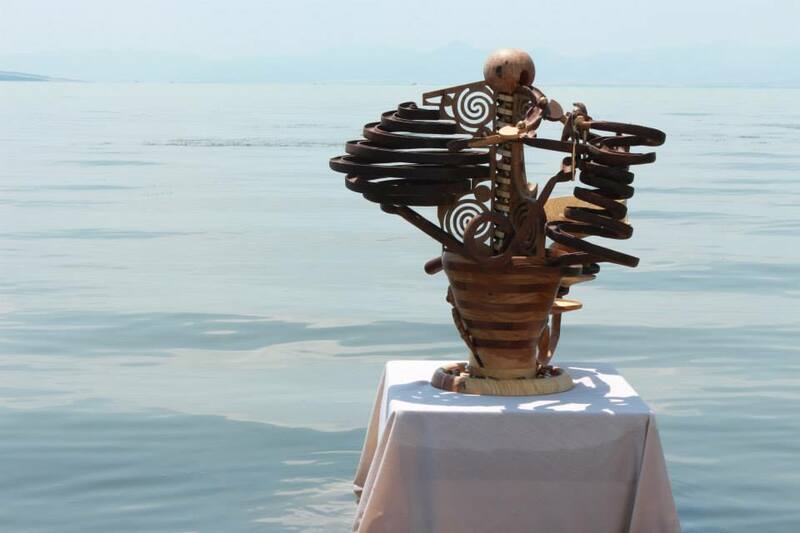 One Eternal Round was his first major sculpture. Hale was profiled previously on The Krakens for his piece Stories of Jesus. He lives in Mapleton, Utah with his wife and three kids. What has been the reception to your pieces? Much better than I expected. When I began this journey, I was not looking to make art. I wanted to make something pretty, but I wasn’t thinking of it as art. I’d never thought of myself as an artist. Then my good friend, veteran sculptor and art teacher, Robert Fitt reviewed my first significant attempt and, looking me squarely in the eyes, said, “Karl, you are a true artist.” I was thrilled but sincerely surprised. I felt like that kid who grew up an orphan on the streets, and then one day discovered he was a member of the royal family. I felt like I’d come home to a place I never dreamed I’d have a right to call home. So with that and similar encouragement from other artistically inclined friends, I pushed it further. 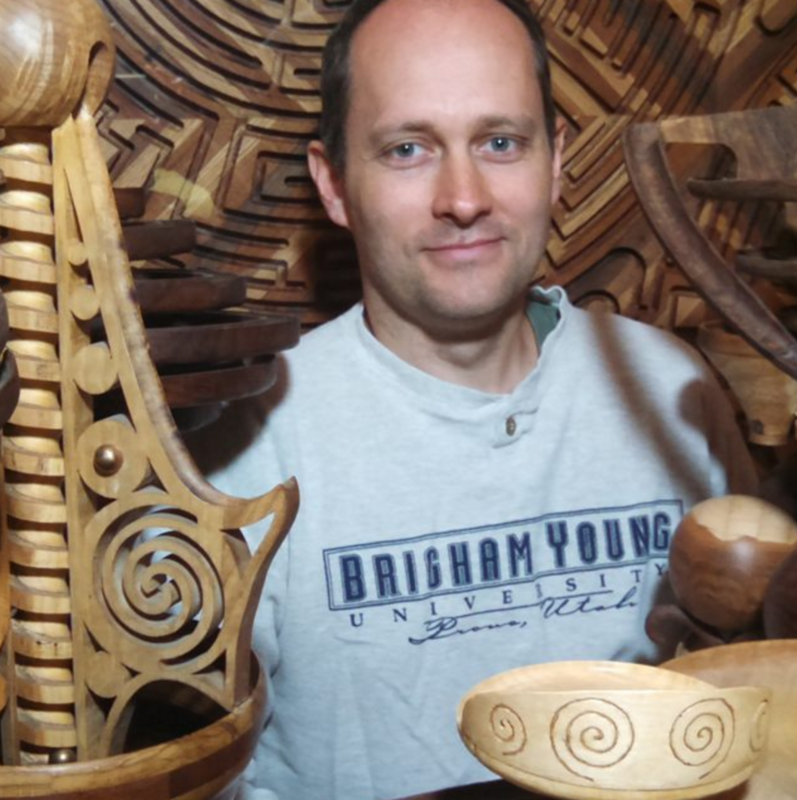 I’ve since been honored with Best in my division and People’s Choice awards at two regional woodcarving shows, have had two pieces accepted into juried exhibits at the Springville Museum of Art and have another piece currently at the LDS Church History Museum.. But most satisfying is the attention my art receives from significantly divergent groups. I’ll always remember walking into my living room to find my 70+ year-old dad and my 4 year-old son both mesmerized by one of my pieces. What’s next? I have several dozen sketches for sculptures, some of which are more complex and some of which are less. I’d really like my art to find its way into homes but because it doesn’t lend itself to reproduction (can’t make prints or casts of it) I need to make sure I have pieces that are affordable for families, which means simpler in design and fabrication. But, on the other end of the spectrum, I’m talking to a museum about a permanent installation that (if it moves forward) would be around 10 feet tall and at least as complex as Stories of Jesus. I’m also working on a line of kinetic, interactive art targeting board rooms and waiting rooms. Not very romantic, but even executives could use an aesthetic lift every once in a while … right? Follow Karl Hale on Instagram.